It’s time to pack up the car and head out on the road! Even if you don’t have far to travel, if you are anything like our family, Road Trip Snacks are a must! While I will be the first to want something ooey, gooey and sweet, it’s not always practical to pack those treats, especially if you have little ones. Or a big messy eater, like I do. 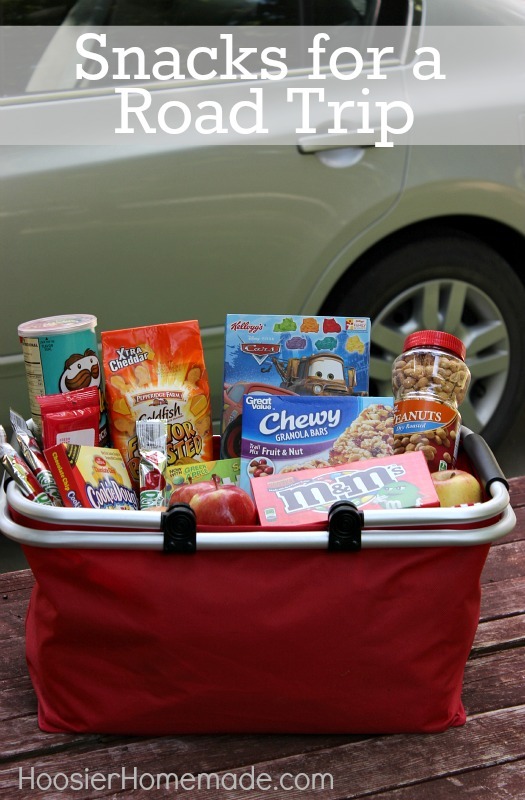 So I have pulled together 15 Road Trip Snack Recipes that you and family are sure to love, and packed up a few more ideas for you to carry along on your next Road Trip! Mom! I’m hungry! How many times do we hear that during a Road Trip? 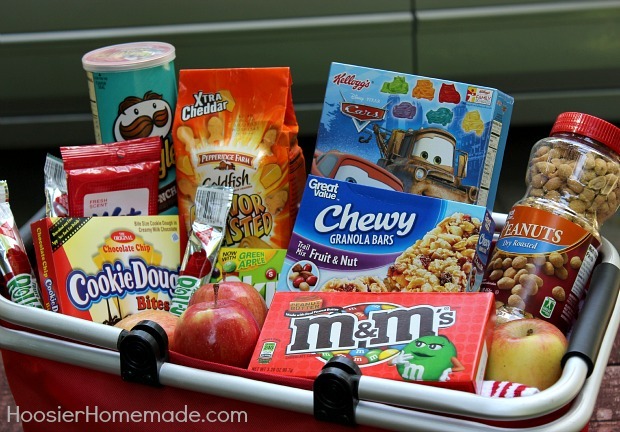 These easy to make Road Trip Snacks will fix that problem! AND they are much better than fast food! While we all love homemade snacks, what about those spur of the moment trips. Or maybe you are heading to the swimming pool or park where it’s going to be hot and you don’t want anything melting. No worries – I have some ideas for you! We have packed up my favorite picnic basket, full of delicious snacks. Oh and don’t forget the Wet Wipes for cleaning up in a hurry! I’m going to try this i’m married and we have 3 children we are planning spring break 2017 to drive down to see my dad he lives in North Carolina we live in AZ i’m going to have to do some major planning this is great. THANK YOU. Hi Melissa- Hope these snacks help! That is a long road trip! Found a list of snack from Trader Joe’s. We are moving from Az to Texas in a couple of weeks and found the list posted on their website. I figured it would be healthier for us. Trader Joe’s has some great snacks! Good luck on your move! Where is the tote from? Hi Janell, the tote is from Walmart along with all the treats in it. 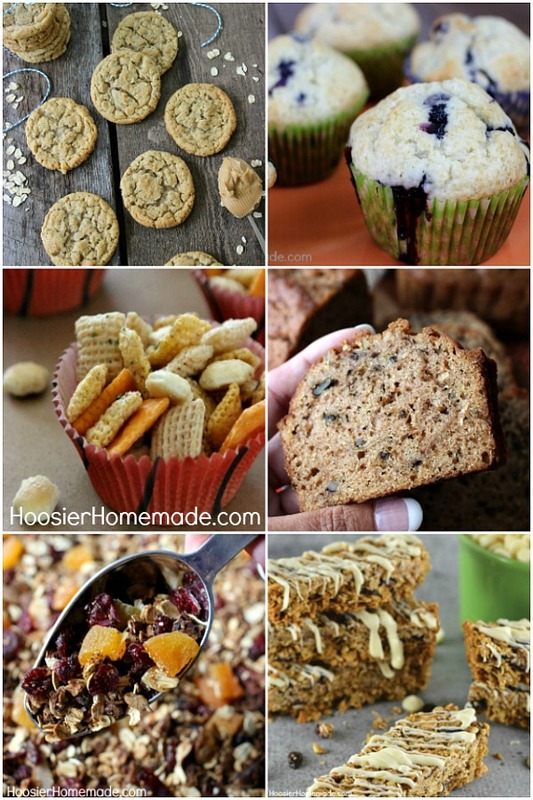 Chex Party Mix and Super Soft Sugar Cookies are #1 on my list~!